Wind turbines use the energy of moving air to generate electricity. Turbines produce more power at higher wind speeds, which are typically found in areas with high elevations and low surface roughness. In Rhode Island, the most significant wind energy resources are concentrated in areas along the coast and offshore in ocean waters. The use of wind to generate electricity is a relatively new undertaking in Rhode Island. As a small and densely populated state, Rhode Island does not lend itself to large onshore wind farms of the type seen in the Midwest and western states. Instead, Rhode Island’s wind power potential lies in offshore wind farms. The Northeast has been dubbed as the “Saudi Arabia of wind,” and the State of Rhode Island, with the R.I. Coastal Resources Management Council as the lead, was the first state in the country to take advantage of this renewable energy potential with the development of its R.I. 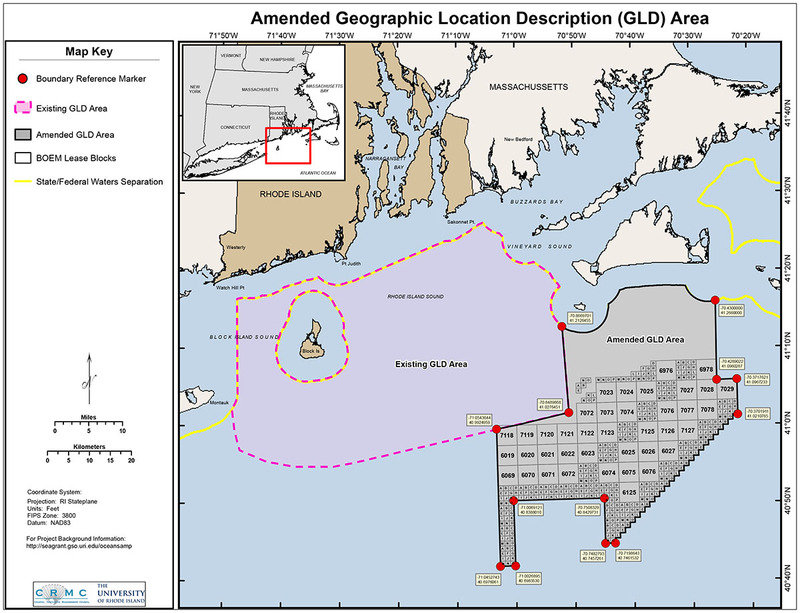 Ocean Special Area Management Plan (Ocean SAMP) and the resulting Block Island Wind Farm, the first offshore wind farm in the U.S.
Providing the best available ocean science as well as a predictable permitting path through the Ocean SAMP has encouraged the opening of offshore waters to renewable energy development, and there are currently five projects in different stages of permitting off New England’s shore. Learn about the Ocean SAMP, the Block Island Wind Farm and the other projects by clicking on the links below.